The small, tasty fish are packed with omega-3s and are a staple at Swedish, Dutch and Scandinavian tables. Often pickled, smoked or eaten raw, herring are fishy fish and therefore somewhat of an acquired taste. But we promise it’s worth it. Get a jump on the trend with these three delicious herring recipes. 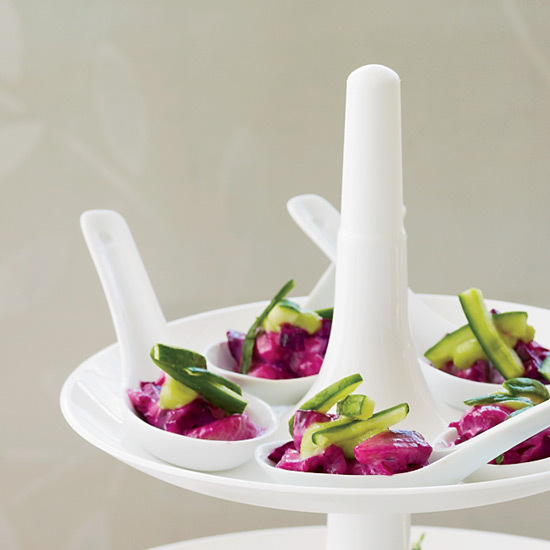 Pickled herring and sweet beets are a brightly flavorful combination. You won’t typically find herring in a taco, but its rich texture and full flavor are delicious when paired with briny olives and cumin in these unique tacos. After trying a myriad of herring preparations during a trip to Sweden, chef Charlie Trotter came up with this elegant dish.